International Dark Sky Park & Mid Wales. The picturesque Elan Valley Estate in the heart of the Cambrian Mountains in Mid Wales UK created history by becoming the World’s First privately owned, but publicly accessible International Dark Sky Park in July 2015. On 17th July 2015 International Dark Sky Park-Silver Tier status was granted by the International DarkSky Association (IDA) based in Arizona, USA to Dwr Cymru Welsh Water's 70 sq mile Elan Valley Estate which is managed by The Elan Valley Trust. The Elan Valley Estate promotes the recognition of our night sky's importance by protecting the night time environment and heritage of our Dark Skies, encouraging our visitors to see first hand how amazing and beautiful our night skies are and with further education, enabling them to protect their own environment from light pollution by taking action in their own communities. Many of the Estate's visitors come to Mid-Wales from cities around the UK and are awed by the skies above. Promoting the enjoyment, conservation, enhancement and access to the Dark Skies, runs hand in hand with the other special qualities the Elan Valley has ...biodiversity-water quality-history-recreation. Having an International Dark Sky designation will help with the promotion and conservation of the Dark Skies... not to mention helping the flora and fauna which is already protected with SSSi's etc! 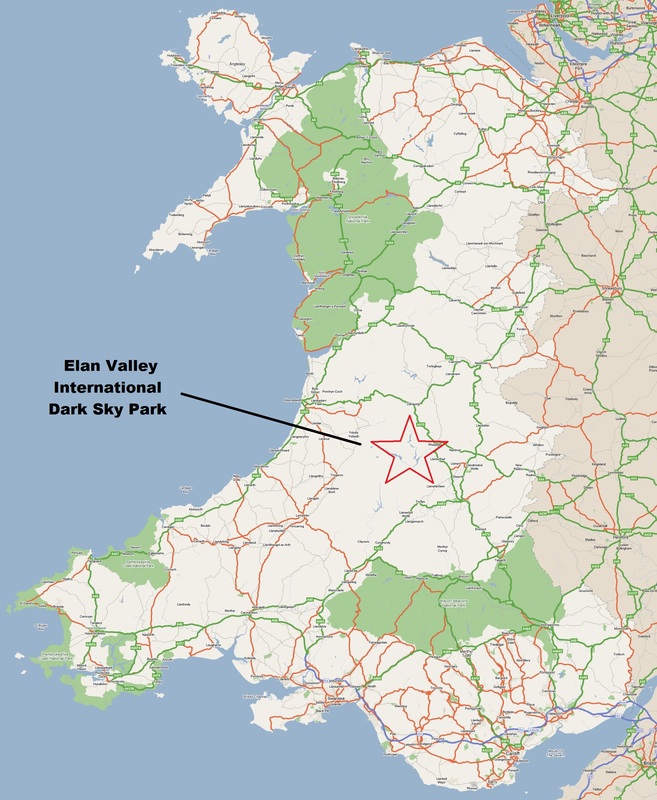 With this website, the EV Astronomy community would like to provide help and information regarding Astronomy and Astro Tourism for the Elan Valley International Dark Sky Park (EVIDSP) and Mid Wales in general. Living as we do in a 'biosphere' ...why do we not protect what's above us aswell... for the benefit of humankind and the abundance of flora and fauna ...as what's above us affects life on the Earth too!